We would like you to see what we are about. 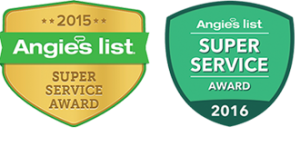 This is our 8th year in the landscaping and lawn maintenance business. We maintain commercial and residential properties. We operate with a small number of people to maintain quality and do our best to personalize your service. If you prefer a high zoysia lawn cut with occasional shrub work, we can create a package for you. If you want a simple low cut, little maintenance we can accommodate your requests. What you will see is excellent lawn maintenance for a lower price than major competitors. Our company has had yard of the month in Central Gardens, Hein Park and several other neighborhoods each year we have been in business. We provide lawn maintenance, lawn treatment, shrubs and tree installment/maintenance, flowerbed design/installment/maintenance, leaf removal, gutter cleaning, patio and deck installation, Christmas decoration installment. Pretty much everything you might need. If there is something you need that we cannot provide we can recommend some companies with good reputations.